Our Curse is the very personal film of director, Tomasz Śliwiński and his wife, Magda Hueckel, dealing with a very rare and incurable disease afflicting their newborn child, Leo, – the Ondine’s Curse is also known as CCHS, congenital central hypoventilation syndrome. The very, very rare disease causes its victims to stop breathing during sleep and require lifetime mechanical ventilation on a ventilator. Tomasz’s first short movie The Curse was presented at many film festivals, such as Nowe Horyzonty in Wrocław and Etiuda & Anima in Kraków (where he received a distinction of FICC Jury). His next film Our Curse premiered at the 66th Locarno International Film Festival and was screened at over 45 international film events, winning 30 prizes including awards at International Festival of Short Films Aspen Shortfest, Raindance Film Festival, Sheffield Doc/Fest and nominations for the Silver Eye Award at East Silver Market 2013 and Best of IDFA at IDFA – International Documentary Film Festival Amsterdam. Together with Magda Hueckel (as Muzungu-art group) he creates a subjective, personal photographic document from various travels all over the world. Tomasz joins us to talk about his very personal decision to film his family life and the intimate conversations between he and his wife, Magda, have as they come to terms with a challenging new chapter of their lives. Just past midnight on October 12, 1998, Matt Shepard died from a vicious anti-gay attack at the hands of confessed homophobe Aaron McKinney and his accomplice Russell Henderson. Matt’s death opened the world’s eyes to the hate and inequality the LGBT community struggles against to this very day. 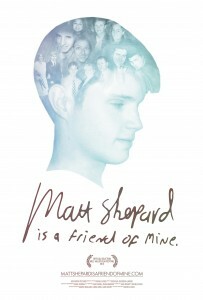 Matt Shepard is a Friend of Mine is a powerful feature documentary about the gay young man who was tortured and murdered in one of the most notorious hate crimes in U.S. history. Directed by Michele Josue, a close friend of Shepard’s, the film revisits the shocking case with never-before-seen photos, rare video footage, and new revelations about Shepard’s all-too-brief life. Director / Producer Michele Josue and her husband, Producer Liam McNiff join us for a conversation on Matt’s life, Matt’s friends and the remarkable journey of his parents, Judy and Dennis Shepard. An award-winning filmmaker, Stanley Nelson has over 25 years’ experience as a producer, director, and writer of documentary films and videos. Nelson and award-winning writer and philanthropy executive Marcia Smith founded Firelight Media was founded in 2000 as an independent production company dedicated to harnessing the power of story-driven media as a platform for education and action. Best known for producing high-quality powerful productions for PBS and creating dynamic community engagement campaigns, Firelight is committed to making films about pivotal events, movements, and people in American history and in doing so has produced a number of award-winning films including Freedom Riders, Jonestown: The Life and Death of Peoples Temple, The Murder of Emmett Till, A Place of Our Own, and Freedom Summer. 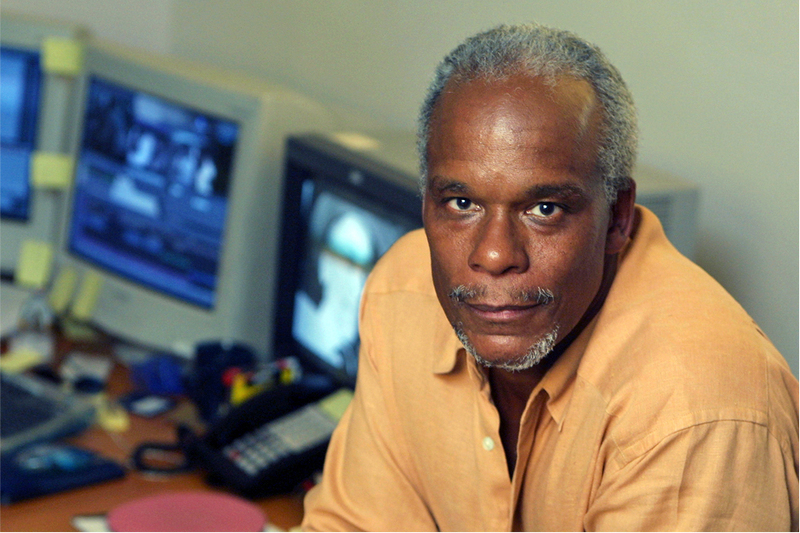 Nelson’s most recent production is Black Panthers, Vanguard of the Revolution, a documentary on the history of a group, and its leadership that remain one of the most powerful and enduring political, and social movement of the 1960’s. The film includes eyewitness accounts from the first members who joined the organization, rank and file members in cities like Chicago, Oakland, Los Angeles and New York, as well as the voices of lawyers, journalists, scholars, police officers, and former FBI agents. In 2008 Firelight expanded its mission and created the Producers’ Lab, a flagship mentorship program that seeks out and develops emerging diverse filmmakers. The Lab provides filmmakers with one-on-one support, funding, professional development workshops and networking opportunities. More than just a workshop, the Producers’ Lab is unrivaled in its representation of diverse producers, creating an exclusive network of talented unique storytellers that receive ongoing support from a project’s conception to its completion. Recently, Firelight Media received the 2015 MacArthur Award for Creative and Effective Institutions. The Award recognizes exceptional nonprofit organizations who have demonstrated creativity and impact, and invests in their long-term sustainability with sizable one-time grants. 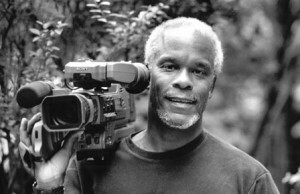 Filmmaker Stanley Nelson joins us to talk about his work with Firelight, filmmaking and promoting the works of other talented filmmakers. Heather works in a helpline call centre. When she receives a phone call from a mystery man, she has no idea that the encounter will change her life forever. ‘The Phone Call’ was shot on location in London in May 2013, with Sally Hawkins having just completed filming on Woody Allen’s ‘Blue Jasmine’. Despite the fact that Sally and Jim Broadbent have both starred in Mike Leigh films, this was the first time that they had actually worked together. Mat Kirkby is a commercials/music video director workin g out of Ridley Scott Associates in London, although he spends much of his time writing Screenplays and eating cake. His work includes videos for Adele, Basement Jaxx and Muse and adverts for Nike and Playstation. Mat appeared on the cover of Screen International as a ‘UK Star of Tomorrow’, (although the other ‘stars’ such as Gemma Arterton, Andrew Garfield and Felicity Jones all actually became stars). He is currently developing 3 features, the psychological thriller ‘Call Girl’, biopic ‘Hair of the Dog’ and comedy ‘Wingman’. Mat’s greatest achievement still remains setting the Guinness World Record for ‘most consecutive bikini-waxes in a 24 hr period’ for the Fatboy Slim video ‘Bushes’. Director Kirkby joins us for a conversation on the making of his riveting and moving film. The FBI was unaccountable and untouchable until 1971, when a group of ordinary citizens uncovered its illegal domestic spying programs. On March 8, 1971, The Citizens’ Commission to Investigate the FBI, as they called themselves, broke into a small FBI office in Media, Pennsylvania, took every file, and shared them with the American public. These actions exposed COINTELPRO, the FBI’s illegal surveillance program that involved the intimidation of law-abiding Americans and helped lead to the country’s first Congressional investigation of U.S. intelligence agencies. Never caught, forty-three years later, these everyday Americans – parents, teachers and citizens – publicly reveal themselves for the first time and share their story in the documentary “1971.” Given the recent disclosures of NSA spying, this story could not be more relevant. “1971” debuted at the Tribeca Film Festival 2014 and recently won the ABCNews VideoSource Award at the 30th Annual IDA Documentary Awards. WINNER AT IDA DOCUMENTARY AWARDS! WINNER OF THE “SPOTLIGHT AWARD” AT CINEMA EYE HONORS! Would you risk everything – your future, your citizenship, even your life – to help a brother in need? In 1948, just three years after the liberation of Nazi death camps, a group of Jewish American pilots answered a call for help. In secret and at great personal risk, they smuggled planes out of the U.S., trained behind the Iron Curtain in Czechoslovakia and flew for Israel in its War of Independence. As members of Machal – “volunteers from abroad” – this ragtag band of brothers not only turned the tide of the war; they also embarked on personal journeys of discovery and renewed Jewish pride. ABOVE AND BEYOND is their story. 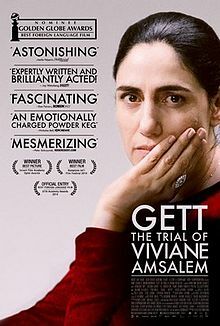 Director Roberta Grossman (Hava Nagila – The Movie, Blessed is the Match: Life and Death of Hannah Senesh) joins us to talk about a small group of brave men and women who changed the world.